Recently a senior policymaker wrote to me asking for some recommendations of IDS publications they should read. I spent a couple of weeks on and off thinking about the most dazzling things to recommend, but then gave up on that and remembered the wealth of material in the IDS Working Papers. I picked 4 papers from the last 6 months. I share them with you. 1. Revenue Reform and Statebuilding in Anglophone Africa. I like this paper because it is on a highly relevant topic for the next 10 years—how do we transition from aid to domestic resources in SSA? The transition will not be smooth. This paper finds that tax revenues have not increased that much in response to investing in tax authorities and that a more formalised tax sector gives larger private sector companies more opportunities to set the rules. 2. From Poverty Traps to Indigenous Philanthropy: Complexity in a Rapidly Changing World. I like this one because it discusses indigenous philanthropy, an issue that is not yet so important, but will become increasingly so in the next 10 years. 3. Rent Management – The Heart of Green Industrial Policy. 4. Gender Equality and Economic Growth: Is there a Win-Win? A review paper that concludes that gender equality is more likely to contribute to economic growth than economic growth to gender equality. Of course the interesting question is does the type of economic growth generated by gender equality lead to greater gender equality? This paper focuses us on one dimension of the quality of growth. In addition, IDS has for the first time published our Reading Lists for our Master's courses. This is pretty standard practice in the US but in the UK we have been more cautious. No more. If you want to copy our reading lists, go ahead--sincerest form of flattery and all that. 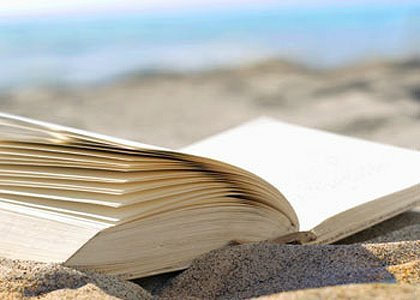 So, lots of reading, but if you are spending serious time on the beach I can recommend Sharp Objects by Gillian Flynn and The Bat by Jo Nesbo.